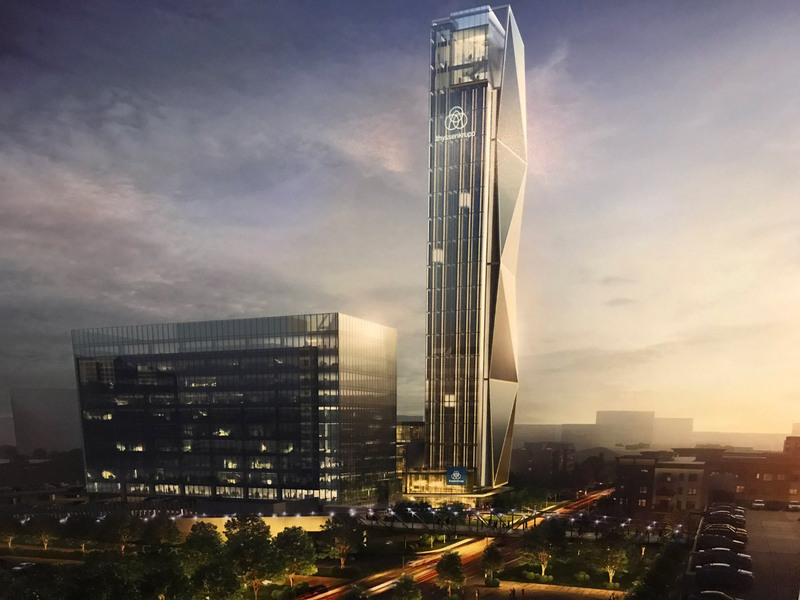 International elevator and industrial company thyssenkrupp has revealed plans for a new headquarters complex in Atlanta that include both tower space for over 900 employees and a testing tower for the company’s experimental elevator systems. 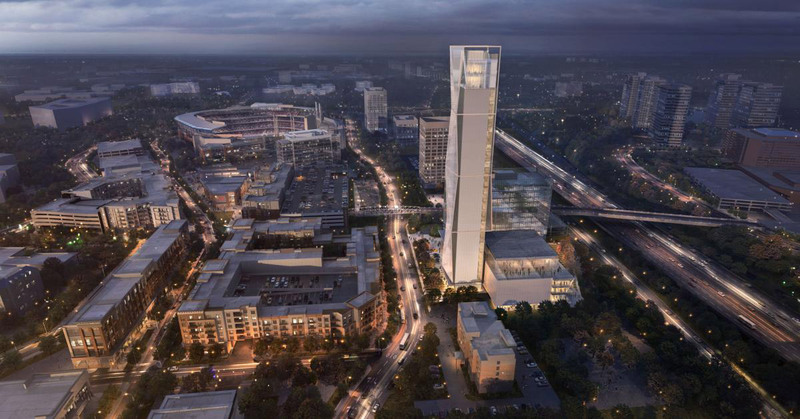 Thyssenkrupp Elevator Americas will be building the campus adjacent to The Battery Atlanta, a commercial and entertainment district developed by the Atlanta Braves and anchored by SunTrust Park. 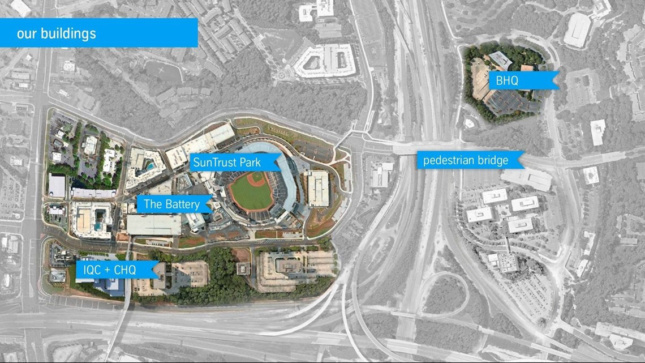 Thyssenkrupp reportedly has the go-ahead from the Braves for their “Innovation Complex,” and the Braves Development Company is a partner on the project. The complex will include three buildings, including the 420-foot-tall testing and qualification tower as the project’s centerpiece. The test tower is slated to have a variety of uses; besides safety testing normal elevators, the company plans on using the 18-shaft tower to field test its rope-less MULTI system and the TWIN system (where two elevator cabins are stacked in the same shaft). Thyssenkrupp is no stranger to constructing technologically-advanced test towers, as the company completed an 800-foot-tall, spiralized structure in Rottweil, Germany late last year. The complex’s two other buildings will serve as more traditional office spaces and, judging from the renderings, will be clad in a glass curtainwall. The corporate headquarters is slated to be 155,000 square feet and will hold thyssenkrupp’s engineering and training offices, as well as space for company events and offices for executives. The remaining 80,000-square-foot building will house the administrative offices and shared services division. When the testing tower is complete, it will be the tallest of its kind in North America. The elevators the company wants to refine aren’t just science fiction, either; Atlanta’s CODA Building will contain North America’s first TWIN elevator system when the project is completed next year. The Development Authority of Cobb County has approved the sale of $264 million in bonds to help fund the project, and it’s expected to bring up to 650 new jobs to Atlanta, so barring any major stumbles, the complex should be complete in early 2022.